Celebrating a Proud Tradition | Where's Fran? 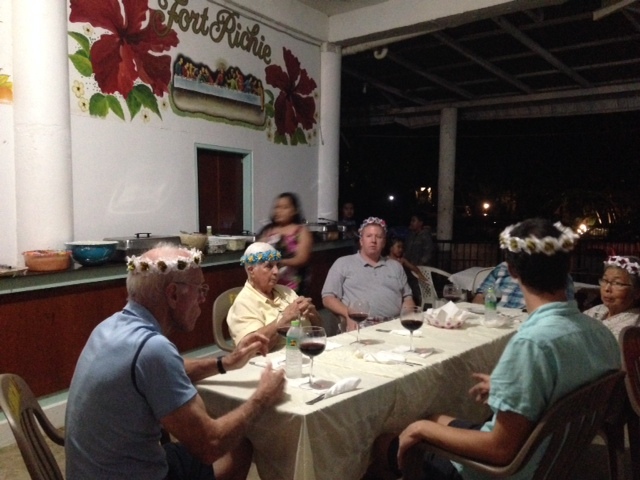 The veterans were there in full force: Biram Stege and Sr. Dorothy Nook from the Marshalls, along with Sr. Isabel Seman now on Pohnpei, Sr. Mertxe Sierra (who has been just about everywhere), Tim Moon from Yap, Wayne Olap of Saramen Chuuk, and Fr. 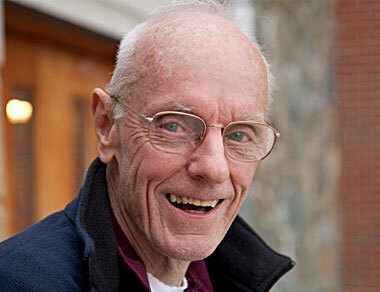 Rich McAuliff (now in Palau, but before then in the Marshalls and then Xavier). With them were the newly appointed heads of schools: Fr. Dennis Baker at Xavier, Fr. 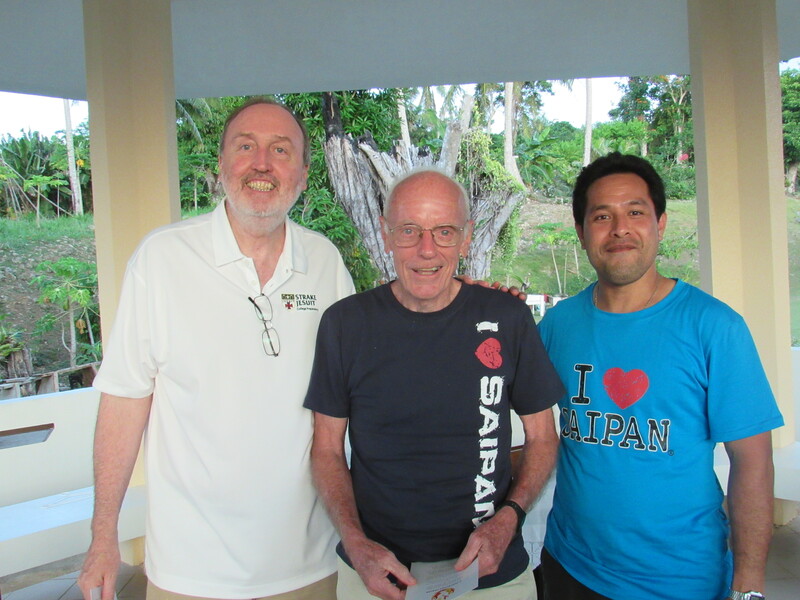 Jack Mattimore and Michael Wiencek from Yap Catholic High School, and Bernie Helstrom from Pohnpei Catholic School. 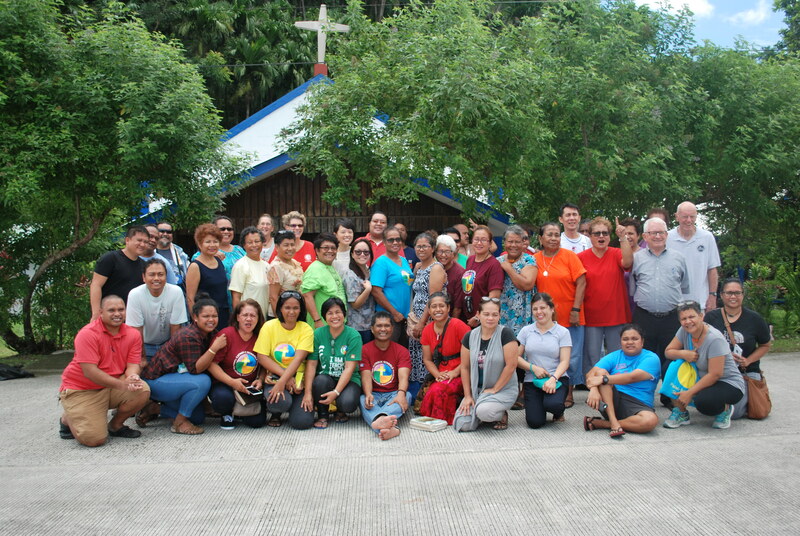 An evening reception at the meeting of Catholic educators in Pohnpei last week. The conference was a look backward and forwards. It was a celebration of what church schools have meant to the islands then and now. 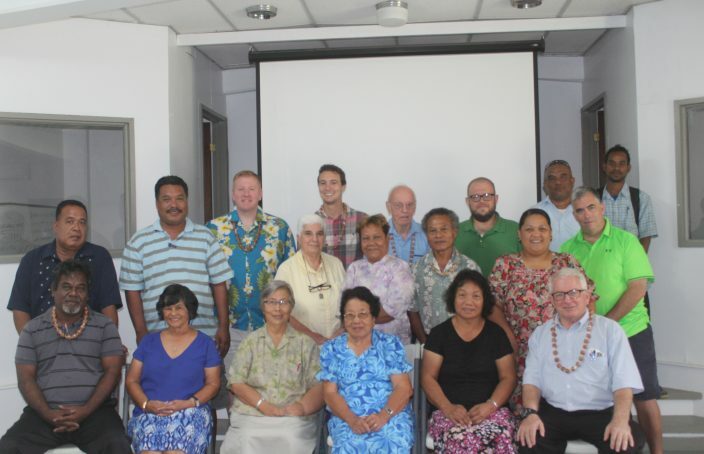 The churches, Catholic and Protestant, introduced formal education to Micronesia a century or two ago, long before there ever was a public education system. According to the test scores reviewed at the conference, our Catholic schools are mostly still at the head of the pack, even in those places where public education has shown notable improvement. Good education is a legacy of the church to the islands. We may not have a formula for resolving the challenges we face, but we came away from the conference determined to honor this legacy and to continue our proud tradition.